December 31, 2008, Anchorage, Alaska – Governor Sarah Palin has welcomed her first grandchild, Tripp Easton Mitchell Johnston, born to Bristol Palin and Levi Johnston on December 27. Bristol begins her final semester of high school next week where she’ll get her last credit needed to graduate. She looks forward to continuing her record of good grades and high achievement. Levi is continuing his online high school work in addition to working as an electrical apprentice on the North Slope. 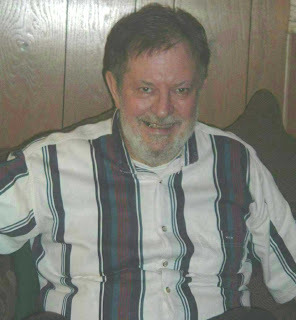 Bill McAllister, the governor’s office communications director, adds: "The governor's office previously declined to comment to honor the family's wishes that the event remain as private as possible. However, the high volume of press inquiries, along with some erroneous information that was published, prompted the governor to make a statement. On November 4, 2008, the conservative movement in America suffered devastating defeats. Almost invariably, the more conservative candidates lost, and the more liberal types won. What do the American people owe those of us in the conservative camp? A one word answer: nothing. Instead, we owe them the responsibility not to make adherence to conservatism sound like a visit to the dentist. Conservative principles (limited government, unlimited opportunities) are fine, but we must articulate them in a way that makes them appealing to most voters. Instead, we sometimes come across as saying, "You don't have a job or health care? Tough luck!" That's not an approach that will work anymore, if it ever did. The world has changed in my lifetime. Robert Frost's "The Death of the Hired Man" talks about family being, in essence, the place where they have to take you in when you show up in need. Increasingly, it seems families (and communities) don't take care of each other -- or even talk to one another. Thus, people feel more vulnerable -- and are perhaps more fearful -- than they were in my childhood. "If the economy has grown so much, why am I not happier and more secure?" As our national wealth (GDP) grew dramatically, so did the poll numbers saying people believed we were heading in the wrong direction. McCain-adviser Phil Gramm observed that we had become "a nation of whiners." That didn't go over well, and it shouldn't have. It was conservatism at its worse. 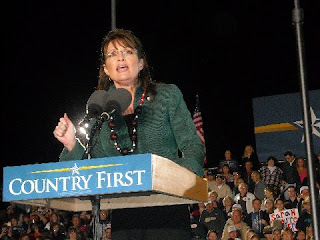 In conservative circles, the "dirty little secret" about Sarah Palin is that she has populist tendencies. (Reagan did also.) We do have a government "of, by, and for the people," so we'd better pay attention to them. The Alaska Constitution says the resources of the state belong not to the oil companies but to the people. How novel. How "Palinesque." Gov. Palin's motto is "Serve the People!" It's not "Serve only the people like us." Americans, even those who don't vote for the Governor, have to know that she understands them, will listen to their concerns, and wants to serve their needs. I've suggested Sarah's campaign slogan in 2012 should be "I'm One of You." In fact, she is, and that's why she has a good chance of becoming President. 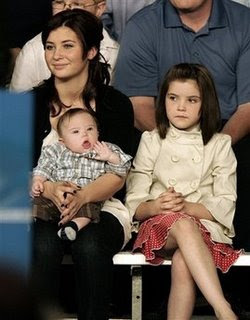 Bristol Palin sitting with baby brother Trig in her lap and next to sister Piper. Congratulations to Bristol on the birth of a healthy son, Tripp Johnston. Bristol Palin, the 18-year-old daughter of former Republican vice-presidential candidate Sarah Palin, gave birth on Sunday to a healthy 7 lb., 4 oz., baby boy in Palmer, Alaska. "We think it's wonderful," said Colleen Jones, the sister of Bristol's grandmother Sally Heath, who confirmed the news. "The baby is fine and Bristol is doing well. Everyone is excited." The baby's name is Tripp Easton Mitchell Johnston, according to Jones.Baby Tripp takes his surname from his dad, Levi Johnston, an apprentice electrician and former Wasilla High School hockey player who has been dating Bristol for three years. Bristol Palin is currently residing in Wasilla and completing her high-school diploma through correspondence courses. Johnston is studying to become an electrician. 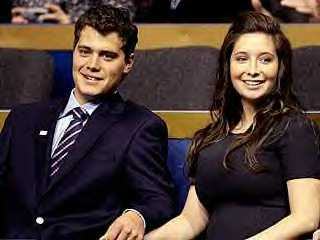 He told the Associated Press in October that he and fiancée Bristol plan to wed in 2009 and raise the child together. Bristol, the eldest of Sarah and Todd Palin's three daughters (the couple also have two sons), made headlines with her pregnancy last summer, shortly after Republican presidential candidate John McCain picked the Alaska governor to be his running mate on his party's ticket. In a statement at the time, Bristol’s parents said their daughter "came to us with news that we as parents knew would make her grow up faster than we had ever planned." They added, Bristol "has our unconditional love and support." If I ran Sarah's presidential campaign -- and don't kid yourself, she wants to be President -- I would have as her slogan: "I am ONE OF YOU." She is a wife, a mother (and mother of one soldier and one special needs child), a wife of a union member, a woman professional, an exemplar of Christian values, a staunch constitutionalist, a lifelong sportswoman and NRA member. She's an expert on energy, the environment, and integrity in government. The MSM tended to ignore her multitude of connections with NORMAL AMERICAN PEOPLE. She is NOT an ideologue. She deeply believes in integrity, freedom, opportunity, and respect for others. That's enough. Recently, I had a "discussion" with a staunch Hillaryite who was rhapsodizing about Mrs. Clinton's views on the middle class. I pointed out that Mrs. Clinton (Wellesley, Yale, Arkansas Governor's mansion, White House, and the $100 million fortune) is not -- and never has been -- a real member of the American middle class. Sarah has been -- and is. I told the Hillaryite, "Sarah Palin has EVERYTHING in common with you -- and HRC has NOTHING in common with you." In short, that's our Sarah. If she and those who support her make the same points, she can win in 2012. It will take a monumental effort by her -- and us. Obama and his "people" will stop at nothing in their efforts to retain power. They will make Rod Blagojevich look like Mother Theresa. We have to do what is necessary to stop them in their tracks. Sarah will never (thank God) be a detail person -- and neither were any of our great Presidents. Jimmy Carter and Richard Nixon were detail people. Since I favor Sarah Palin for President in 2012, I'm passing on Willard Romney's invitation to join his effort for the presidency in 2012. I believe Mitt Romney has ZERO chance of ever defeating Barack Obama. It will not be clear for a couple of years how good a chance Sarah has of dethroning Obama ("The Emperor of Ice Cream"), but it will certainly be much better than that of the former Gov. of Massachusetts. I'm irritated by politicians, especially Republicans, who can't face political reality. The time is over when a person could race to the GOP nomination by raising lots of money and being as slick as an MA road during an ice-storm. We need to have candidates who are as much as possible like the individuals who are casting the votes. People vote for candidates whose lives resemble theirs and reflect their hopes and aspirations. Saxby Chambliss recently marveled at the "huge" effect Sarah had on the GA Senate race. She energizes crowds. She makes skeptics into believers. She especially offers hope to those in states that are "Blue" but show some possibility of turning "Red" for the right candidate. Romney is not the right candidate. He's a smooth talker in a $4,000 suit. He's too rich and too polished to appeal to the people who actually are willing to vote nowadays for a Republican candidate. The people of my own area -- western Pennsylvania in general and Beaver County in particular -- are registered Democratic by a margin of roughly two-to-one. We're the ones Obama called "bitter" people clinging to their (our) guns and religion. We're his version of The Great Unwashed. This year, Beaver County went for McCain-Palin by 4,000 votes, a remarkable showing, and the same was generally true through western Pennsylvania. It was clear that the main magnet attracting voters was Gov. Sarah Palin. Put Sarah in charge -- at the top of the ticket. Let her work nationally the kind of magic she demonstrated in western Pennsylvania. Let her run as a champion of "working women" (her term) and working men. Let her build on the massive coalition, one that will eventually number in the millions, forming with such organizations as TeamSarah.org and ReadmyLipstickNetwork. In short, let her -- and us -- show the world how to defeat Barack Obama and the smear-artist I call "The Axelrod of Evil." As time goes on, the election of Barack Obama in 2008 will be seen for what it it -- a calamity for our country. It will be the time for a remarkable woman who not only affirms American values, but practices them. I'll be writing more in the future about the book by Kay Cashman and others called "Sarah Takes on Big Oil." I urge you to visit Kay's page on TeamSarah.org: http://www.teamsarah.org/profile/KayCashman# From Christmas through New Year's Day I'll be writing about about "how Sarah wins in 2012." I sent the following to Meg in PA who has established the foundation for a massive organization to defeat Obama in Pennsylvania in 2012. Meg, To steal Hillary's words, the only reason to put as much effort, time, and money into this deal (i.e., electing Sarah in 2012) as we'll do is to "be in it to win it." Winning it means doing exactly the kinds of things you are with online and offline organizing. We don't need to be wishy-washy, but we need to keep growing and that will mean collaring some non-traditional allies. Four million Hillary Supporters voted for McCain-Palin, and I want them to stay on our side -- and to bring along more of their fellow Hillaryites. I want to operate as much outside the "traditional" Republican Party as possible. Yesterday's GOP is mainly good at asking for money -- and then sending it to the wrong candidates. As some of the people on this mailing list know, I want them (or people like them) running the campaign in 2012 -- we don't need the malcontents, incompetents, and Sarah-bashers that Sen. McCain and Rick Davis accumulated. Anyone who's pro-choice and backs Sarah Palin strongly -- and I worked with many such people (in 2008 -- is welcome aboard as far as I'm concerned. It's critical for Palin Supporters to understand that her appeal transcends ideology. She's a listener, a respecter of diversity, and a healer. She leads by example, rather than by fait. On all these points, we should seek to emulate her. Young people and Hispanics are especially welcome because (shhhh) we can't win without significant support from them. 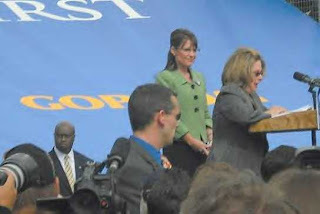 Sarah Palin has tremendous potential appeal to young voters and to Hispanic women. I notice there are 61 African-American women for Palin in one TeamSarah group, and that's a start. We need to make inroads with Black women, who vote in large numbers, and concern ourselves less -- at least during the Obama era -- with Black males. If Sarah can get 51% or more of the female vote in 2012, she will be President-elect. That's not an impossible number. I want Obama to figure out what hit him about the first Wednesday in November, 2012. I hope Adam Brickley, who established the Draft Palin Movement TWO YEARS AGO (see http://palinforvp.blogspot.com) will work hand-in-glove with us, and I've added him to the e-mail copy list. Understand that we'll NEVER raise as much money as Obama -- although we'll raise a lot more than people may think -- so we need the best, biggest volunteer organization in American history. The way we win Pennsylvania (and Ohio, and maybe Michigan) is to do exactly what the people on this list -- and the good folks at TeamSarah -- are doing. I also intend to work as closely as she'll let me with Katie Hastings O'Malley (of Human Events and modernconservative.com), so she gets copied too. :-) It's no secret that I believe Katie, perhaps in concert with Adam, would be a great national campaign manager in 2012. Right now, Sarah knows only that Katie exists, but they'll become a lot better acquainted in coming years. On her back, Katie has a tattoo of Ronald Reagan. I asked her to save a place for one of Sarah. There are some people I regard as brilliant organizers getting this e-mail -- and now they get the opportunity to prove it to the rest of the world. We can defeat Barack, Rahm, and David -- hereafter known as "The Axelrod of Evil." Merry Christmas to all. 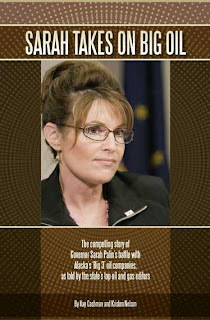 As of January 1, 2009, This blog will start up again with five (or more) columns per week regarding Sarah Palin and American politics. The "end" of the blog will occur in January, 2013, when Gov. Palin is inaugurated as the 45th President of the U.S. In recent weeks, I've been doing a lot of work with -- and about -- a remarkable organization: http://teamsarah.org/. It now has more than 63,000 memebers, and it's aiming for 100,000 by the end of January. I urge you to join and participate in TeamSarah activities. TeamSarah is going to be a very useful tool for activists in every state. I wrote the following today to several friends. It suggests how they can use the fine search function of TeamSarah to advance pro-American causes. Meg, I notice on Team Sarah that there are 2,020 Pennsylvanians that show up in a search. At some point, we (and I mean dozens of us if we can find them) should be asking everyone of them to join the PA Sarah Team. I've asked everyone I can find in Beaver County (about 30 people) to join my friends list. Janet, there are 1600 Georgians -- hint, hint. Traci and Lyn, there are nearly 2800 Texans in the group. Jean, in good ole left-wing WA state, there are 1,041 Team Sarah members. In another year there will be five times as many members from each of the states. I told Meg, head of the TeamSarah, PA group that we need 60,000 PA activists in place by Labor Day, 2012. I define an activist as somebody that will contact (at least) a dozen people and ask them to support Sarah Palin. Most of them will do more than that. NOTE: On TeamSarah searches, beware the use of the comma. If you put Beaver Falls, PA, on the eearch, you get everyone in PA. If you omit the comma, you just get the people you're looking for. I got rid of the beard. I was afraid people might mistake me for an Obama Supporter. I'm back -- with a vengeance. Fasten your seat-belts, because the next four years are going to be quite a ride. "Perception is reality." (An old saying in the public relations business). The problem of course is that perceptions are sometimes (perhaps usually?) wrong. In the campaign to defeat Barack H. Obama and elect John S. McCain, most voters had the perception that Obama was extremely cool, very smart, and usually charismatic. That is, most people saw him as a real-life version of Obiwan Kanobi. Those of us in the pro-McCain (and, especially, pro-Palin) online community tried to undermine the general perception of Obama. We tried to present him as an inexperienced, unqualified, untrustworthy candidate. We wanted the world to see him as we did -- as (in the words of one TIME editor), "creepy . . . self-absorbed." We saw him -- correctly -- as man who'd spent a lifetime associating with what our grandmothers (and his?) called "bad companions." We failed. Obama won the election -- and won big. The charges we made against BHO did not stick. There were many reasons John McCain lost -- one of them the collapse of the economy under a Republican President and another the general ineptitude of the McCain Campaign, including both the candidate and his staff. But we played a role in the defeat. We assumed the public would want to know the truth about Obama's associates, including Tony Rezko, Rashid Khalidid, Raila Odinga, Jeremiah Wright, and William Ayers. In fact, the American public didn't give a hoot about Obama's relationships with Khalidi and Odinga. They didn't know -- and don't know -- who those people are. An obscure Kenyan politician (Odinga) and a half-crazed academic (Khalidi) were of no interest to American voters. For the "bad companionship" argument to work we would have needed substantial cooperation from the national media. Basically, we got none. We also got no support from the head of the Republican ticket, who regarded it as a badge of personal honor to reject even mentioning the names of Jeremiah Wright and William Ayers (let alone Khalidi, Odinga, or Rezko). In the online community, we tried to sell Ayers and others to a public that wasn't buying. Alas, we may at time have qualified for the definition of insanity: doing the same thing over and over and somehow expecting different results. We should have spent a lot more time making the case for John and (especially) the incomparable Sarah. Unfortunately, McCain didn't give us a lot of help there. He definitely wanted to become President -- he just never really gave us a short, compelling reason why. He regarded doing what was necessary to win (such as making Rev. Wright a focal point) as somehow beneath him. It's a dangerous thing for bloggers and other onliners to determine what the public "should" know. The public will know what is meaningful to it. Give the public an unpronounceable name, and you've lost them. The American people decided that Raila Odinga and Rashid Khalidi, people with strange names and bizarre views, were not worth knowing about. What poll data there is shows that a person like Ayers had almost no influence on the election. I notice some people are still writing about Ayers (and perhaps Odinga and Khalidi). They're wasting their time, sad to say. In regard to Obama's many bad companions, the public has voted with a gigantic ho-hum. In the end, the tens of thousands (!!!!) of pieces we wrote on why Obama should not be President struck voters as if they were emanating from the Tower of Babel. It was as if we were Darth Vader and he in fact was Obiwan. I look for Obama to be a terrible President. Inexperienced. Unqualified. Untrustworthy. And dangerous to the Constitution and the safety of the American people. His approval rating now is in the 70s, right where it should be for someone who has never served a day in executive office. The all-time champion of political fundraising, Obama will spend his first days in office paying off the UAW members who provided the winning margins in Michigan and Ohio. Instead of "In God we trust," the national motto may very well become, "Hey, if you want to play, you gotta pay!" Hi All: From now until Christmas, I'll be a relatively inactive member of the Steering Committee. After that, I'll be extremely active. I need to get my mailing lists and blogs in order. Between now and the first of the New Year, this blog will have occasional re-posts from my other one: http://draftpalin2012.blogspot.com. After Jan. 1, I'll be posting 5-6 times per week on that blog and this one. One of the questions that comes up is how much time we should spend "debating" with anti-Palin people. I believe we should spend ZERO TIME doing so. That doesn't mean we shouldn't answer questions posed in good faith, but we shouldn't devote any time or energy with individuals who buy into the MSM's anti-Sarah views. My response to the suburban Philly woman is below. Basically, I told her I wanted nothing more to do with her in this lieftime. 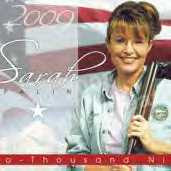 I believe Sarah Palin will be the next President of the U.S., and that she will be a great one. I have no interest in encouraging -- or even humoring -- those who believe otherwise. "I think it's best that go in peace in our separate directions. I do agree that Gov. Palin has nothing in common with the "values" (whatever they may be) of Montgomery, Chester, and Delaware counties [all of which went for Obama], let alone of Philadelphia County. Over the next four years, I don't intend to spend five minutes of my time debating with critics of Gov. Palin, most of them drive by pure malice and misogyny. I believe all Republican resources -- every penny and every minute -- should be spent in and on the 57 PA counties that voted for McCain-Palin." Frankly, the Obama Campaign is one that focuses almost entirely on lies and hate-mongering. Those of us who support Sarah are going to have to fight fire-with-fire, to show a kind of political ferocity that may not come naturally to many of us. Those voters who dislike Gov. 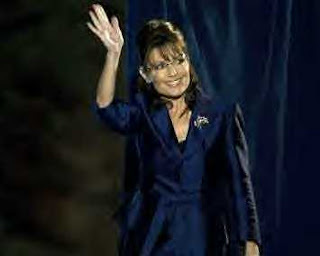 Palin will find kindred souls at The Daily Kos and Moveon.org, groups dedicated to spreading lies about Sarah.